Looking for a large hiking backpack for longer tours? 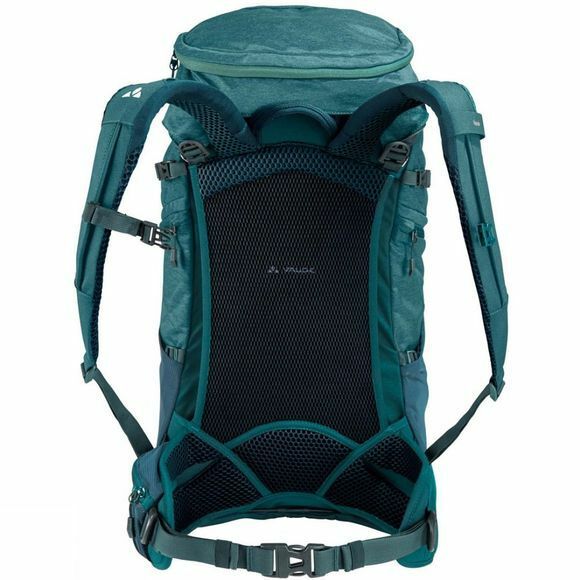 This spacious, expandable hiking pack shines with its comfortable Aeroflex suspension system and exceptional ventilation that ensures comfortably packing, even when the going gets tough. In addition, its Aeroflex support system, specifically engineered for women, offers excellent load distribution and prevents hot spots, even on the longest hikes. A phone, wallet or other accessories can be stored in its cleverly designed and positioned pockets. A pocket in the hipbelt is perfect for a key or other important items that you need to have close at hand; a map compartment is also easily accessible. On long tours, the Skomer 36+ can also take a hydration bladder; its understated good looks and sophisticated features make it a stylish and functional workhorse for longer hikes and hut hopping tours. Another highlight: The lid of the 36+ can be detached and used separately as a wash bag. The side stretch pockets provide room for a rain jacket or anything else that needs to be kept close at hand. The large front entry provides quick access to the main compartment. The Skomer 36+ is an ideal, multifunctional hiking backpack. 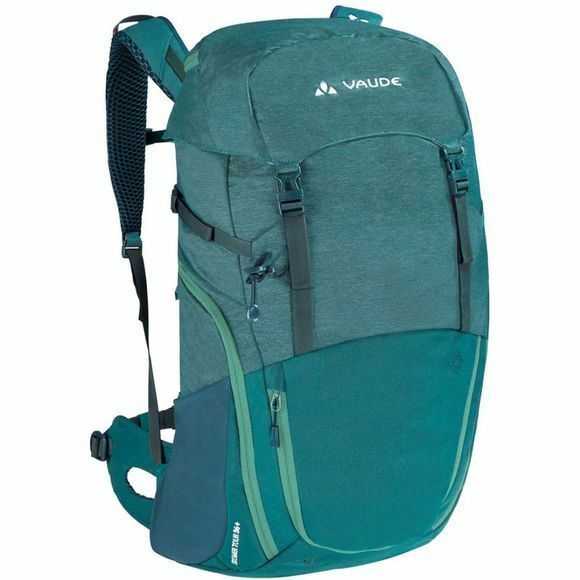 The VAUDE Green Shape label stands for environmentally-friendly, functional products made from sustainable materials.